"Housee brings her deep-rooted wisdom and experience as a teacher and scholar to the much-vexed questions of rampant racism and Islamophobia in higher education. By allowing her black and minority students to speak truth to power Housee gently guides us to the answers, showing us what decolonising pedagogy and antiracist practice really means. This powerful and inspirational book brings much needed light, clarity and care to a sector in crisis." 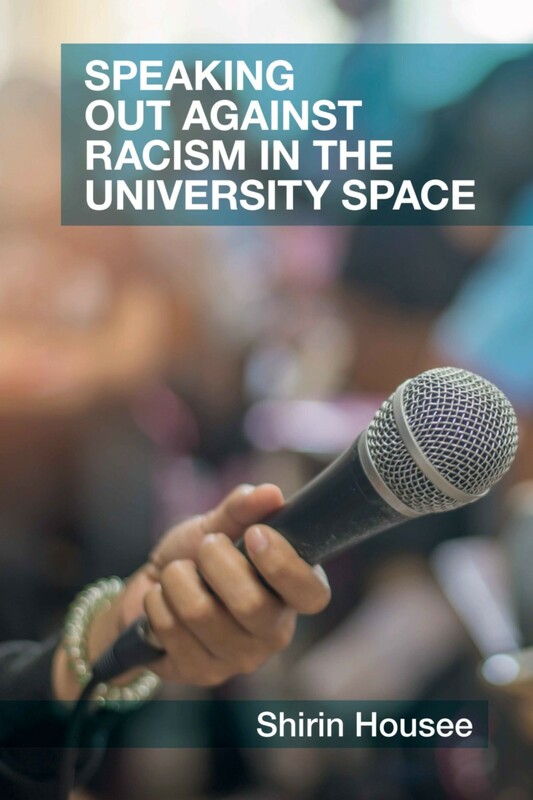 "Universities generally see themselves as bastions of high standards and meritocratic ideals; in Speaking Out against Racism in the University Space, Shirin Housee explodes this comfortable myth and exposes the racist reality that routinely shapes higher education for many young people. Importantly, the book adopts an intersectional approach that examines how a range of issues (including racism, sexism, social class and Islamophobia) combine in complex and hugely destructive ways." "This vital book debunks the myth that universities are merely passive reflectors of the social inequalities that exist in wider society. Housee reveals universities as powerful institutions that play a significant role in reproducing racism - and which therefore have a duty to challenge that racism." "Speaking Out against Racism in the University Space is written from the heart. It develops insights about student and lecturer experience of Islamaphobia while illuminating the author’s call to arms for a more democratic higher education system underpinned by the emancipatory power of antiracist pedagogy in transforming teaching and learning, and challenging racism experienced by minoritized students." 4. Is it cos of my colour? 8. Now you know about racism, what are you going to do about it? 9. What is the point of building antiracism? Shiren Housee is Senior lecturer in Sociology at the University of Wolverhampton.